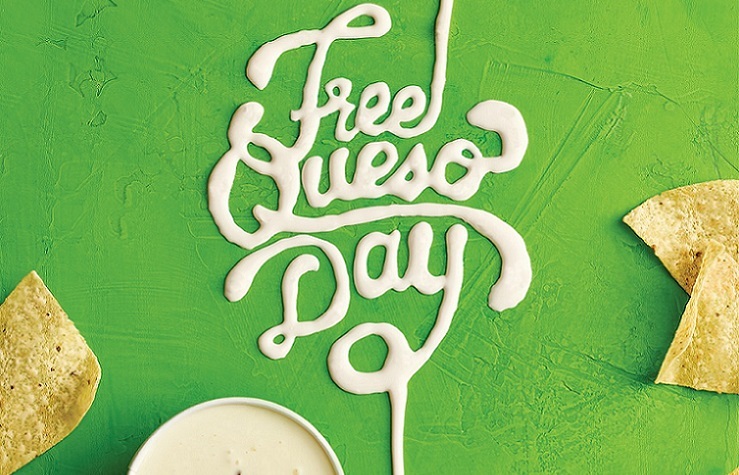 Queso is Life at Moe’s and for the eighth year in a row, Moe’s Southwest Grill® is bringing cheese-induced happiness to fans around the country with the most anticipated day of the year – Free Queso Day. On Sept. 21, all guests will enjoy a complimentary 6-ounce cup of queso and fresh, warm chips at participating locations, no purchase necessary. This year, Moe’s isn’t just giving away free queso to every guest, the brand has upped the ante by launching a 24-hour Queso Hotline to support and comfort all queso obsessed fans that put queso before everything because… queso is life. Plus, on Sept. 1, Moe’s launched a Free Queso for Life sweepstakes awarding one lucky fan a lifetime supply of liquid gold (the stakes are high this year!). On Sept. 21, the winner will be announced during a Facebook Live on the Moe’s Facebook page. For more information about the Moe’s Queso for Life sweepstake visit: www.moes.com/rules.